Friday fun poll: have you ever found a lost item on transit and turned it in? 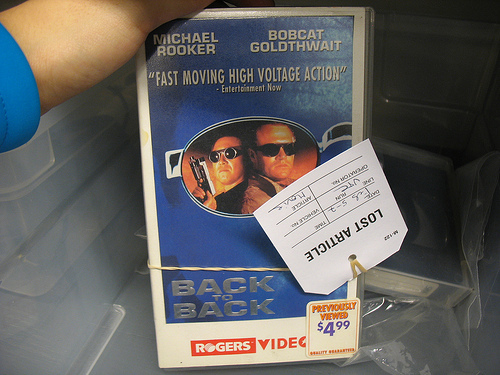 During the Olympics, the Lost Property office at Stadium had a copy of Back to Back, the Bobcat Goldthwait/Michael Rooker star vehicle, on VHS! Feel free to elaborate on your experience in the comments, as usual! What is Lost Property collecting during the Olympic period?